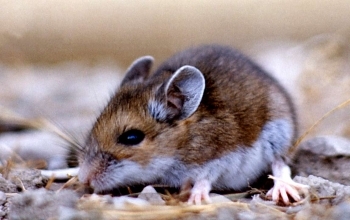 Three common types of mice are the House mouse (Mus musculus), the Deer mouse (Peromyscus maniculatus), and the White-footed mouse (Peromyscus leucopus). Your house mouse is usually gray-brown in color with an almost hairless tail. The deer mouse and white-footed mouse are two-toned in color, this consists of a reddish-brown backs and a white belly, with furry tails. Squeaking, scratching, and the sounds of chewing coming from your walls, ceiling, or between floors. Droppings usually ranging from 1/8-1/4″ long and slender. These can be found along counters, cabinets, drawers, basement floors along walls, near food, under sinks, and in attics. Small smooth tunnels in your attic or basement insulation. Nesting material in wads . 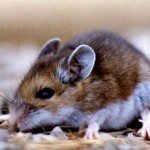 What can Eviction Nuisance Wildlife Control do to solve your mouse problem? We Do Not Use Poisons to Control Mice!!!! So please don’t ask. If you decide to use a company that uses poison, note mice do not go searching for water after they ingest it. Most times the mouse will end up dying in a wall or other area of the home causing a foul odor that will remain until the decomposition process is done. We prefer trapping and exclusion. A complete inspection of your home needs to be done. We will locate any and all entry points that can be found. Once the determination of what has made your home a place mice like has been made we will work with you to solve your mouse problem. If you are currently having a problem with mice, then it is time to give Eviction Nuisance Wildlife Control a call today. We will inspect the area, and work with you to solve the problem.